Search resources by name, keyword, state or population served. Browse resources in your state by clicking the appropriate link below the search box. Filter resources by area of focus and region served using the controls in the righthand column. The Americans with Disabilities Act is opening doors in the business world. Not just doors to new markets, but doors to untapped human resources as well. All of our truncated dome tactile surfaces are in full compliance with the American Disabilities Act Accessibility Guidelines (ADAAG), Public Right-of-Way (PROW) and California Title 24 Requirements. ADA Solutions Inc., products are approved for use by all major municipalities, DPWs and state DOTs. The Addie McBryde Rehabilitation Center is a comprehensive personal adjustment center for adults who are blind, visually impaired or deaf-blind. Through a program of training offered to both residential and day clients, individuals participate in classes learning skills which enable them to successfully live and work independently. Established in 1972, the center is Located in Jackson on the campus of the University of Mississippi Medical Center. The facility has a dormitory capacity for 28 clients, a gymnasium, a client library and classrooms equipped with specialized technology for the blind and visually impaired. Certified instructors individualize training to meet a client’s needs during the class day from 8:00 AM to 3:00 PM. Clients participate in additional activities in the Achieving Milestones Class focusing on adjustment to vision loss, confidence building, resume writing, interviewing and utilizing resources in the community. ADEC serves people of all ages who experience developmental disabilities and delays, as well as other specials needs such as visual and physical impairments. From infants to senior citizens, ADEC can provide direct services; information or referrals to help individuals and families meet the challenges of living with disabilities. Our mission is to teach people who are blind and deaf-blind the skills that lead to independence, employment and community integration. Affiliated Blind of Louisiana is also a consumer organization, which promotes the general welfare of the visually impaired, blind and deaf-blind, educates the public about blindness and informs consumers of services available to them. The Alabama Academy of Ophthalmology (ALAO) is a medical association located in Montgomery, Alabama, comprised of ophthalmologists who are licensed medicine in Alabama and/or other states. The purpose of ALAO is the promotion and advancement of ophthalmic medicine in all phases. Address: 602 S. Lawrence St.
Our vision is to help society and state government prepare for the changing aging demographics through effective leadership, advocacy and stewardship. The Alabama Department of Senior Services (ADSS) is a cabinet level state agency that administers programs for senior citizens and people with disabilities. The department was originally established by the Alabama Legislature in 1957 as the Alabama Commission on Aging. ADSS was established under Title 38 Chapter 3 of the Code of Alabama. The Alabama Institute for Deaf and Blind (AIDB) is the world’s most comprehensive education, rehabilitation and service program serving individuals of all ages who are deaf, blind, deaf-blind and multidisabled. Founded in 1858 by a young medical doctor who wanted to educate his deaf brother, AIDB now serves more than 22,500 infants, toddlers, children, adults and seniors with hearing and vision loss throughout Alabama each year. The Alabama Optometric Association is a nonprofit organization dedicated to promoting the eye health and vision care of Alabamians through the practice of optometry. Our membership includes more than 400 optometrists from across the state. To serve the community as a center of reliable information and a place where inquiring minds may encounter original, unorthodox, or critical ideas in our society one which is based on freedom of the individual and free competition of ideas. All inPlay is a place where blind and sighted folks from all over the world can come together to play accessible online multiplayer games. From our beginnings in a college dorm room in 1998, our goal has been to bring people together through online games that are accessible to the blind while also being thoroughly enjoyable by those who are sighted (Learn how All inPlay got started). Thanks to the wonderful community members at All inPlay our dream has become a reallity. The primary focus of the Alpena-Montmorency-Alcona Educational Service District is to support the efforts of our local districts and communities to ensure every child achieves his or her fullest potential. Alphapointe is a private, non-profit 501(c)(3) organization that has continued to serve people who are blind and visually impaired since 1911. Headquartered in Kansas City, Alphapointe is the third largest single employer of visually impaired individuals in the U.S., employing over 400 people in nine locations in four states, including our main operations in Kansas City, Missouri and our facility in Brooklyn, New York. Alphapointe is the only comprehensive rehabilitation and education agency for people with vision loss in the state of Missouri, providing outreach, services, employment and education to over 5,000 individuals a year. Orthoptics is a well-established profession. Orthoptists work within the subspecialty field of ophthalmology and have been working in the United States for over 75 years. Orthoptics is an ophthalmic field pertaining to the evaluation and treatment of patients with disorders of the visual system with an emphasis on binocular vision and eye movements. Orthoptists are uniquely skilled in diagnostic techniques. AADB is a national consumer organization of, by, and for deaf-blind Americans and their supporters. “Deaf-blind” includes all types and degrees of dual vision and hearing loss. Our membership consists of deaf-blind people from diverse backgrounds, as well as family members, professionals, interpreters, and other interested supporters. Utah State professors are filled with passion for what they do. Dedicated instructors work closely with students to teach and inspire every day. For nearly 100 years, the American Foundation for the Blind has been a leader in the vision loss field, identifying and addressing the critical unmet needs of people with vision loss at every stage of their life. The American Optometric Association represents approximately 44,000 doctors of optometry, optometry students and paraoptometric assistants and technicians. Optometrists serve patients in nearly 6,500 communities across the country, and in 3,500 of those communities are the only eye doctors. Doctors of optometry provide two-thirds of all primary eye care in the United States. Anchor Center for Blind Children is a not-for profit organization dedicated to providing early intervention/education to blind and visually impaired children throughout the state of Colorado. Our staff of highly trained vision specialists, therapists and teachers strive to foster the full potential of children who are blind by providing exemplary education, therapy and family support services. The New York Public Library has been an essential provider of educational programs and resources for more than 100 years. From English language classes and technology training to story times, we give New Yorkers the tools they need to succeed. The Access Board is an independent federal agency that promotes equality for people with disabilities through leadership in accessible design and the development of accessibility guidelines and standards. Created in 1973 to ensure access to federally funded facilities, the Board is now a leading source of information on accessible design. The Board develops and maintains design criteria for the built environment, transit vehicles, telecommunications equipment, medical diagnostic equipment, and information technology. It also provides technical assistance and training on these requirements and on accessible design and continues to enforce accessibility standards that cover federally funded facilities. Arizona Center for the Blind and Visually Impaired (ACBVI) has been providing services for individuals since 1947. ACBVI is committed to "enhancing the quality of life for people who are blind or otherwise visually impaired." Our services are available to adults who are legally blind or visually impaired as well as those who have a degenerative eye condition which may eventually become a visual impairment. These services are offered separately or concurrently according to the individual needs of the qualifying client. 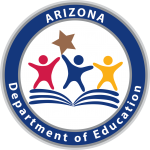 The Arizona Early Intervention Program (AzEIP) is the statewide system of services and supports for families of infants and toddlers, birth to three years of age, with disabilities or delays. The purpose of early intervention is to help families help their children develop to their full potential. Our work must continually demonstrate these values every day, through our interactions with the public and our fellow colleagues as we focus on building the capacity of the people we serve. Each Division and every employee of DES must relate these values to their specific work so that they can become a meaningful part of their daily interactions. In this way, we all share ownership of these values and are able to relate them to our vision and our daily work, regardless of our position or job site within DES. The Exceptional Student Services (ESS) mission is to provide high quality service that builds capacity to improve outcomes for all students. The vision of ESS is that all students, including students with disabilities, are well prepared for the next step – college, technical/trade school, career, job, or other means of engagement. To achieve this vision, ESS is establishing a system of supports that wraps around educators to improve student outcomes—academically, behaviorally, and functionally. This program provides independent living services to older individuals who are blind, conduct activities that will improve or expand services for these individuals and conduct activities to help improve public understanding of the problems of these individuals. These services assist people in learning how to care for themselves, travel independently, and perform home management skills and other activities to promote self-reliance. Family involvement and support services are strongly encouraged. DHS offers a variety of programs and services for all Arkansas citizens. From simple A to Z list of all services to more focused lists based on groups such as young adult or seniors, our goal is to help you find the information you need quickly. Address: 26 Corporate Hill Dr.
ICAN AT4ALL is Arkansas’ statewide assistive technology program designed to make technology available and accessible for everyone who needs it. Assistive technology (AT) is any kind of device or tool that helps people learn, work, communicate and live more independently. AT can be very simple and inexpensive, like a modified knife and fork, or it can be very sophisticated and costly, like a computerized speech device. The Arkansas Ophthalmological Society (AOS), Arkansas Eye MDs, is a statewide professional society representing ophthalmologists practicing in the state of Arkansas. The primary purpose of AOS is to maintain the high quality of medical eye care in Arkansas by serving its members through professional education, practice management, and advocacy efforts. Volunteer director, nurse, office secretary, screening technician. AT Ohio's mission is to help Ohioans with disabilities learn about or acquire assistive technology. Assistive Technology refers to devices, equipment or services that assist individuals with disabilities to function independently in the areas of work, home or school. We offer several programs and services to achieve that goal. We also keep up with current legislative activity that affects persons with disabilities, and educate legislators about the needs and concerns of citizens with disabilities. ATRC is a nonprofit whose mission is to link people with technology and empower individuals through its use. ATRC is also the State of Hawaii's designated AssistiveTechnology Act agency. The Association for the Blind & Visually Impaired offers assistance to people with visual impairment or blindness. People often come to us when their eye care professional can no longer correct their vision with glasses, contact lenses, medication or surgery. Assistive Technology of Alaska (ATLA) is Alaska’s only comprehensive assistive technology (AT) resource center. AT can be the key to greater independence and productivity for people in their home, school, community, and/or place of employment. ATLA provides demonstrations, information, and device loans to help Alaskans make informed decisions and select the AT that best meets their needs. WVIK 90.3 FM, Quad Cities NPR provides 24 hours a day news and classical music to the Quad Cities and surounding communitys in eastern Iowa and northwestern Illinois. WVIK 90.3 FM< Quad Cities NPR, is licensed in Rock Island, Illinois, and owned and operated by Augustana College broadcasting from the campus in Rock Island. Our signal broadcasts at 90.3 FM across eastern Iowa and northwestern Illinois, and at 95.9 FM in Dubuque, Iowa and a small portion of southwestern Wisconsin. Our approach to care is led by board-certified pediatric emergency specialists who have access to Beaumont Children’s experts in nearly every pediatric medical and surgical subspecialty. That means if your child needs to be admitted to the hospital, you’ll be right where you want to be. Bergen Family Center is Bergen County's oldest family service agency. From its founding in 1898 as an organization of boys' clubs, Bergen Family Center has developed into the county's oldest continuously operating family service agency. Within our encouraging family environment, we help members see beyond their visual limits and learn to live an independent life. Our skills training, educational resources and ongoing assistance all work together to ignite a can-do-spirit that defies boundaries and fuels personal growth. BISM has worked very hard to stay competitive in an ever-changing marketplace. Through excellent communication and customer service, we have been able to meet or exceed the requirements that our customers both desire and deserve. Every one of our associates, from the newest hire to the most senior manager, accepts responsibility for the quality of products and services we deliver. This year Blind Service Association (BSA) celebrates its 92nd Anniversary providing services to Blind and Visually Impaired children, adolescents and adults in the Chicagoland area. Originally founded in 1924 by Mrs. Gottfried D. Bernstein, a housewife in Chicago's Hyde Park neighborhood, Blind Service Association grew out of a need to give the printed page a voice to the blind community. The Mission of Blindconnect is to connect blind people to other blind persons, to available services and resources, and to their community-at-large. The Blinded Veterans Association (BVA) is an organization of blinded veterans helping blinded veterans. Through our service programs, regional groups, resources, and advocacy before the legislative and executive branches of government, we hope to make life better for blinded veterans. We will be there with encouragement and support, to ensure no blinded veteran is left behind. BLIND, Incorporated is an adjustment to blindness training center that offers training for adults, children, teenagers, and seniors. We teach the skills that blind people need to become independent and employable such as braille, home management, the use of the white cane, and computers with screen reading software, etc. But just as importantly, we instill in our students the confidence to put these skills into practice. We utilize the positive view of blindness of the National Federation of the Blind. We work from the premise that blindness doesn’t have to be a tragedy. We know that, if given training and opportunity, blind people can live full and productive lives. Bluegrass Council of the Blind, Inc. The mission of Bluegrass Council of the Blind is to provide resources and services to all people affected by a loss of sight, improving lives for all by empowering persons with a loss of vision to continue living independently as productive, contributing members of their community and to educate the public on the rights, abilities and needs of the blind and visually impaired. Services are available to anyone directly or indirectly impacted by the effects of a loss of sight. Our CARF-certified programs help people navigate life and work with success. Our empowering rehabilitation programs help people who are blind or visually impaired live with independence and confidence. We also provide a range of training and employment programs that create much-needed job opportunities. Learn more about our programs. This program prepares teachers to work with students with mild to moderate disabilities such as: specific learning disabilities, emotional and behavioral disorders, and mild developmental disabilities. Boston University Eye Associates provides patients with a full range of eye services for adults and children of all ages. With 5 convenient locations: Taunton, Middleboro, Brockton, Boston and a surgery center in Raynham, we have been able to meet the needs of the communities and its referring professionals for more than twenty years. Boston University Eye Associates welcomes the opportunity to serve you and your family at any of our locations. Braille Institute Los Angeles serves people who are visually impaired throughout Los Angeles and Kern counties. Our free services include structured classes, youth programs, adult programs, low vision consultations, and much more, both at our center and through community outreach. Address: 527 North Dale Ave. Together with our new Laguna Hills Neighborhood Center, our Orange County staff and volunteers are dedicated to serving people who are visually impaired in the greater Orange County community. We work with individuals and key community partners to provide training, skills, support, resources, and a sense of belonging to visually impaired people of all ages and backgrounds. Whether on our Anaheim campus, in the field, or through in-home visits, we will help find the services to help you regain your independence. Braille Institute Rancho Mirage offers a broad range of daily living and arts & healthy living classes to people who are visually impaired in Riverside, San Bernardino and Imperial Counties. Braille Institute San Diego offers a wide variety of free programs and services for people who are visually impaired in San Diego County. We invite you to discover all that we offer! Braille Institute Santa Barbara serves as an integral resource for residents in Santa Barbara, San Luis Obispo and Ventura Counties who are blind or visually impaired. The center uses its 11,000 square feet of teaching and program space to offer unique adult and youth classes. The Broward County Talking Book Library, located in the Main Library, provides recorded and Braille reading material to people who cannot use print books because of a visual or physical disability. Books and magazines on tape, materials in Braille, and print/Braille children’s books can be checked out at the library or mailed postage-free to and from customers’ homes. Special cassette players and headphones are also loaned free of charge. Camp Allen was founded in 1931 by the Boston Lions Club, later Boston Kiwanis in partnership with the Manchester Lions Club as a retreat for young girls who were blind. This program offers a variety of services for visually impaired and blind Union County residents aged 60 and above, including educational, social, and recreational activities, information about supportive community services, referrals, and social/recreational outings. Transportation and snacks are provided. Our compassionate staff is well-trained and experienced in navigating the many challenges of living with special needs. We can help low vision and low hearing clients enjoy technology in ways not previously possible. Center for Independence in Grand Junction is also a central hub for area non-profit organizations offering affordable leasing options with plenty of great meeting space. We are dedicated to providing comprehensive solutions to optimize hearing and vision abilities by combining technology and personalized service in a friendly, professional environment. The Center for the Visually Impaired is a non-profit agency dedicated to serving blind and visually impaired individuals. Our goal is to enhance the lives and opportunities of our clients through job training, and employment, Independent Living, Technology training and children’s services as well as a multitude of community services. To ensure that blind and visually impaired individuals lead successful lives in their workplace, at home, and in their community, the Center for the Visually Impaired’s long term commitment to our mission has been in place since 1988. The Cherry Creek School District is one of the highest-achieving school districts in the state. Our Vision, Mission and Values describe the culture of the district: who we are, what we believe, and how we go about providing an excellent education for the children of Cherry Creek. To prepare children with visual impairments, including those with multiple disabilities, to reach their highest potential in the sighted world. Christian Association for Rehabilitation and Education Ministries, Inc.
CARE Ministries is an interdenominational Christian ministry. The majority of those served are over age 55. The major services to this group include a library of audio Christian books including Bible studies, inspirational books, stories of great Christians and devotionals, information and referral services, assistance in finding both spiritual and secular resources in the local community, prayer support and some adjustment counseling. The goal of the many volunteers, employees, and directors of Christian Record Services for the Blind is to reach every blind or visually impaired person with our free Christian publications and services. Our mission is to empower people of Greater Cincinnati who are blind or visually impaired with opportunities to seek independence. We do this by surrounding our clients with the most caring people and helpful services to build a plan based on their needs. Our goal is to enable those who are blind or have low vision to achieve independence. We educate, empower and employ; providing training and guidance to our clients and the communities we serve. Through setting a clear vision for increasing student performance, CDE continually supports the advancement and improvement of the state’s education system to prepare all learners for success in a rapidly changing global workplace. Since 1900, Columbia Lighthouse for the Blind has been dedicated to helping the blind or visually impaired population of the greater Washington region overcome the challenges of vision loss. Our work enables people of all ages who are blind or visually impaired to remain independent, active and productive in society. The goal of the Computer Center for Citizens with Disabilities is to help improve the lives of children and adults with disabilities by introducing them to the many ways in which computer technology can enhance their jobs, careers and education. Our mission is to help blind children and adults with additional disabilities be independent and contributing citizens. Our vision is to eliminate all barriers separating people who are blind from full community participation. Connecticut has three types of Birth to Three Programs. Click the links below to view the programs in each group. General Programs support families regardless of the reason why their child is eligible for Birth to Three. Autism Specific Programs conduct assessments when autism is a concern and they support families when their child has a diagnosis of autism. Hearing Specialty Programs conduct assessments when hearing is a concern and they support families when their child is deaf or hard of hearing. The Department ensures that Connecticut’s elders have access to the supportive services necessary to live with dignity, security, and independence. The Department is responsible for planning, developing, and administering a comprehensive and integrated service delivery system for older persons in Connecticut. The Bureau of Education and Services for the Blind (BESB), within the Department of Rehabilitation Services provides resources, comprehensive low vision services, specialized education services, life skills training, case management, and vocational services to individuals of all ages who are legally blind and to children who are visually impaired. The Mission of CLAO is to advance quality medical eyecare for the public by providing comprehensive ophthalmologists and other eyecare professionals with education and training in contact lenses and related eyecare science. North Dakota Vision Services/School for the Blind (NDVS/SB) provides statewide leadership, center based programming, and regionalized outreach services ensuring that the specialized needs of persons of all ages who are blind or visually impaired are met. NDVS/SB is a division of the Department of Public Instruction, Kirsten Baesler, State Superintendent, and is located in Grand Forks, with regional offices in Fargo, Jamestown, Minot and Bismarck. Dayton Public schools is an urban district of approximately 14,000 students in pre-kindergarten through high school with a graduation rate that has climbed from 59.6 percent to 72 percent since 2010. Among our students are 800 English language learners from more than 30 countries around the globe. The percent of families certified to receive free and reduced price meals qualifies our district to provide free breakfast and lunch to all of our students through the USDA's Healthy, Hunger-free Kids Act, Community Eligibility Option. Welcome to this exciting website for the Dean McGee Eye Institute (DMEI)! Since the dedication of our first building in 1975, DMEI has emerged as one of the nation’s largest and most respected eye institutes. The Institute, the University of Oklahoma Department of Ophthalmology, and our faculty and staff have been firmly committed to our multiple missions of patient care, vision research, education, leadership, and service. I invite you to explore this website to learn more about our heritage, people, programs, and world-class facilities. You will understand why we are so proud of our physicians and scientists, many of whom are national and international leaders; a vision research program ranked among the top in the nation with respect to funding from the National Institutes of Health/National Eye Institute and Research to Prevent Blindness; and residency and fellowship training programs that attract the best and brightest candidates from across the country. By offering such excellence, we can better serve all Oklahomans and the regional, national, and global communities. Again, welcome and enjoy! The Delaware Assistive Technology Initiative (DATI) connects Delawareans who have disabilities with the tools they need in order to learn, work, play, and participate in community life safely and independently. Utilizing education, outreach, training and technology, DVI works to strengthen the capacity of our agency, our consumers and the community so that those who are blind and visually impaired may become and/or remain, employed, independent and self-sufficient. The Department of Services for Children, Youth and their Families (The Delaware Children’s Department) was established in 1983 by the General Assembly of the State of Delaware. Its primary responsibility is to provide and manage a range of services for children who have experienced abandonment, abuse, adjudication, mental illness, neglect, or substance abuse. Its services include prevention, early intervention, assessment, treatment, permanency, and after care. The Department also offers desirable career opportunities, attracting and retaining proud and talented employees who are motivated to think of the child first in all that they do. The Division of Services for Aging and Adults with Physical Disabilities advocates for, provides access to, and coordinates long-term services and supports in the most appropriate setting. The Instructional Materials and Resource Center (IMRC) provides Accessible Educational Materials (AEM) materials in alternate formats such as Braille, Large Print, and digital versions. These digital versions can be accessed on a computer or mobile device. The IMRC also maintains depositories of braille and large print books and instructional equipment including assistive technology. The Detroit Radio Information Service (DRIS) is southeast Michigan's Radio Reading/Audio Information Service for people with disabilities. It is a special audience service of WDET 101.9 FM and Wayne State University. DRIS embraces and enhances the robust community engagement mission to expand knowledge, educate, inform and culturally enlighten its listeners. Address: New Jersey Protection and Advocacy, Inc. Disability Rights New Jersey (DRNJ) is a private, non-profit, consumer-directed organization established to provide education, training and technical assistance to individuals with disabilities, the agencies that serve them, advocates, attorneys, professionals, courts and others regarding the rights of individuals with disabilities. The Lighthouse Center for Vision Loss is a local, independent 501c3 nonprofit that has been serving the Northland for nearly 100 years. Today we provide training and other services to 1,500 individuals with vision loss each year. We serve youth, working-age adults and seniors through services provided here at our center, in the home or at the workplace. We offer training in daily living skills, orientation and mobility, technology, braille and adaptive leisure. Other services include our support groups, the Twin Ports Low Vision Store and the Twin Ports News of the Air radio station. The Early Intervention Section (EIS) is a federal and state-mandated program that provides services to support the development of infant and toddlers from birth to three years of age. Information and support are also provided to parents to increase their knowledge about and ability to support their child’s development. The Department of Health (DOH) is the lead agency for the implementation of Part C, Individuals with Disabilities Education Act (IDEA) for the State of Hawaii. Within the DOH, EIS is responsible to ensure that Hawaii meets all the requirements and regulations of Part C of IDEA. EarlySteps provides services to families with infants and toddlers aged birth to three years (36 months) who have a medical condition likely to result in a developmental delay, or who have developmental delays. Children with delays in cognitive, motor, vision, hearing, communication, social-emotional or adaptive development may be eligible for services. EarlySteps services are designed to improve the family's capacity to enhance their child's development. These services are provided in the child's natural environment, such as the child's home, child care or any other community setting typical for children aged birth to 3 years (36 months). WESM 91.3 FM is a 50,00 watt non-commercial public radio station, serving Maryland and Virginia’s Eastern Shore, as well as Southern Delaware, Southern Maryland and Virginia’s Northern Neck. Also, our 24/7 live audio stream draws listeners from around the world. Licensed to the University of Maryland Eastern Shore, WESM has served Delmarva and surrounding regions for nearly three decades. To provide in an efficient manner, immediate, direct and convenient access to the printed word, to those individuals whose ability to read is severely impaired by a visual disability. Access is provided by utilizing state of the art electronic technology, including, but not limited to radio, cable TV/FM systems, and telephones and computerized telecommunications. At Envision, we offer comprehensive, multidisciplinary services tailored to you as an individual. It’s about confronting whatever obstacles you encounter on your path to independence and tackling them head on. Together. So if you’re living with blindness or vision loss, we’re here to help you live to the fullest. Vision loss can create barriers to a full life, but it doesn’t have to. We’ve been pushing past those barriers since 1933, improving quality of life for people who are blind or visually impaired and helping them defy expectations at every turn. That’s what drives us. Find out how we put our mission into practice. The Florida Alliance for Assistive Services and Technology, Inc. serves Floridians with disabilities by providing free access to information, referral services, educational programs, and publications in accessible formats on topics such as disability rights, laws, and policies. We also provide assistive technology (AT) device loans as well as funding opportunities for AT. The Florida Bureau of Braille and Talking Books Library provides information and reading materials in Braille and recorded audio format to Florida residents who are unable to use standard print as the result of visual, physical, or reading disabilities. The urgent mission of the Foundation Fighting Blindness is to drive the research that will provide preventions, treatments and cures for people affected by retinitis pigmentosa, age-related macular degeneration, Usher syndrome and the entire spectrum of retinal degenerative diseases. A cure is in sight and you can help us reach it. The Friends for Sight Vision Clinic is located in the Glendale-Mountain View Community Learning Center, a Salt Lake City School District project. With a population of 93% economically disadvantaged in the area, the support that this clinic provides is a tremendous asset to this vibrant, diverse, and often under-served community. Governor Morehead School (GMS) is the flagship school in North Carolina that serves the special needs of visually impaired students, in a unique residential setting. The innovativeness of the Governor Morehead School extends back to its roots. When the school was established in 1845, it was the eighth school for the blind in the United States. Equally impressive is that North Carolina was the first state to serve the African-American blind and deaf population, beginning just four years after the Civil War. The school moved to the current location on Ashe Avenue in Raleigh in 1923 and was renamed in 1964, in honor of former Governor John Motley Morehead. African-American students attended school at the Garner Road campus until an exchange of students began in 1967, with full integration being achieved in 1977. At HSDB, we respect and value the communication needs and diversity of the individuals in our unique community. We offer a bilingual bicultural educational experience and individualized supports and services to prepare students with 21st century college and career readiness skills. Hawaii is in the midst of a range of historic efforts to transform its public education system: Implementing a new school performance system, internationally-benchmarked standards, updated assessments, more rigorous diploma requirements and robust teacher and principal evaluations – all to ensure graduates succeed in college or careers. Our team of experts will work closely with you to develop an individualized action plan tailored to your needs and goals, and everything you learn will have practical, real world applications. One-on-one training, cutting-edge technology, hands-on learning and the opportunity to interact with people who know firsthand the challenges you face—it's all part of the HKNC experience. The Idaho Assistive Technology Project (IATP) is a federally funded program administered by the Center on Disabilities and Human Development at the University of Idaho. Our goal is to increase the availability of assistive technology devices and services for older persons and Idahoans with disabilities. Don't let a physical limitation stop you from reading! Audio books and magazines can be loaned free to any Idaho resident who is unable to read standard print, hold a book, or turn pages due to a temporary or permanent physical limitation. ICBVI is a state agency which has been serving Idahoans since 1967. The agency assists blind and visually impaired persons to achieve independence by providing education, developing work skills, increasing self-confidence and helping them remain employed or prepare for employment. Our number one priority is to provide the best possible service through this single point of entry website where people of all incomes and ages can obtain information on a full range of long-term care support programs and services. We hope you find this website informative and a user-friendly tool that will assist you and your family. Idaho's Infant Toddler Program (ITP) coordinates a system of Idaho Infant Toddler Program Early Intervention Services early intervention services to assist Idaho children birth to three years of age who have a developmental delay or who have conditions (such as prematurity, Down Syndrome, hearing loss) that may result in a developmental delay. IOB people are glad to be here. (Ask them and you’ll see.) It’s not just because productive work is fulfilling. It’s also because they all participate in deciding how this organization is run. Our mission is to enable Iowa's students who are blind or visually impaired to function as independently as possible in all aspects of life by providing appropriate educational opportunities, resources, and support services. Iowa Compass is the leading source of information on services and supports for Iowans with disabilities, their families and service providers. About 54,000 Iowans have experienced vision loss. But that doesn’t mean accepting “limitations” that many people think accompany blindness and visual impairment. The Iowa Department for the Blind believes all Iowans can lead productive, fulfilling lives – including those who happen to be blind or visually impaired. The Department supports and encourages independent living and full participation in life – at home, at work and in communities. Vision loss knows no boundaries with respect to age, gender or ethnicity. It should not and does not need to limit accomplishment in whatever a person wishes to do. The Department of Special Education at Jackson State University offers programs on the Bachelors (B.S. ), Masters (M.S.Ed.) and Specialist (Ed.S.) level. The crux of each program is the preparation of competent, insightful, and innovative educators who are committed to meeting the needs of children with disabilities, divergent learners, and their families. JCPS is a leading urban school district that provides a high-quality education for more than 100,000 students (about 1 of every 7 students in Kentucky). Parents can choose the school and the programs that best meet their child's needs and match his or her learning style. From preschool to adult education, JCPS is known for educational innovation, for dedication to students, and for highly qualified teachers and administrators. The Moran Eye Center is the largest facility of its kind in the Intermountain West and offers access to more than 35 specialists. We provide leading-edge care for the full range of vision and eye conditions, including adult and pediatric retina, glaucoma, cataracts, cornea, neuro-ophthalmology, ophthalmic plastic surgery, pediatric ophthalmology, external eye diseases, and emergency services. We offer the latest advances in LASIK and refractive surgery, as well as a full range of optometry services including contact lenses and eyeglasses. Visit us at one of 11 convenient locations along the Wasatch Front. JCAHPO enhances the quality and availability of ophthalmic patient care by promoting the value of qualified allied health personnel and providing certification and education. Certifications include the Certified Ophthalmic Assistant (COA®), Certified Ophthalmic Technicians (COT®), Certified Ophthalmic Medical Technologists (COMT®), Ophthalmic Surgical Assistant (OSA®), Registered Ophthalmic Ultrasound Biometrists (ROUB®), Certified Diagnostic Ophthalmic Sonographers (CDOS®), Corporate Certified Ophthalmic Assistants (CCOA®) and the Ophthalmic Scribe (OSC®). Since the founding of KBTI in 2000, it has become widely associated with and recognized alongside the Braille American Flag. While every man and woman who has ever worked or volunteered with KBTI harbors a deep regard for our Nation’s most revered and recognized symbol, we have not forgotten the Institute’s main mission. Kentucky's Unbridled Learning assessment and accountability system is designed to provide in-depth information about the performance of students, schools, districts and the state as a whole. Nevada Public Radio was incorporated in December 1975 as an independent, non-profit corporation. KNPR signed on the air March 24th 1980. We were Nevada’s First NPR affiliate, in the early years Morning Edition and All Things Considered aired alongside classical music, jazz, bluegrass, radio drama, blues, folk music and more. In December 1980 we moved into newly constructed studios in the parking lot of Sam’s Town thanks to the generosity of Sam and Bill Boyd. LC Industries sole mission is to provide meaningful employment for people who are blind. As one of the nation’s largest employers of the blind, our focus is to offer opportunities, skills and training to the blind and visually impaired to help them cultivate a job into a rewarding career. The Program for the Blind and Disabled provides the kinds of materials found in public libraries in formats accessible to the blind and disabled. Books and magazines are available in braille, in large print, and on audio digital books. Services are provided by the Utah State Library Division in cooperation with the Library of Congress, National Library Service for the Blind and Physically Handicapped. Services are provided free of charge to eligible readers. Programs are administered by the Maine State Library and funded by the federal Library Services and Technology Act (LSTA) through the Institute of Museum and Library Services (IMLS). Lighthouse Louisiana's Baton Rouge facility, while affected by recent flooding, is on its way to recovery and expected to be operating again within the coming weeks. The most significant loss is from damage to all the office furniture and floors. The mission of the Little Light House is to glorify God by improving the quality of life for children with special needs, their families, and their communities. We accomplish this mission by providing tuition-free educational and therapeutic services to children with special needs ages birth to six. LATAN is a 501(c)(3) statewide nonprofit organization that connects individuals with disabilities and older persons to the Assistive Technology (AT) that enables independence in employment, school, and community living. The Lutheran Braille Evangelism Association (LBEA) is a non-profit ministry, founded in 1952 by the blind Lutheran pastor John Gustav Erickson. Its mission is to provide Scripture and other Christian materials to blind and sight impaired persons all over the world. The ministry is evangelical in its thrust and was begun and continues to be centered around its motto of "Helping the Sightless See the Savior." Today, under the leadership of the Pilots, LBEA searches for every way it can to fulfill its mission to communicate the message of Christ inbraille, large print, audio CD, and also in digital format through the popular hand-held talking BibleCourier, which now comes with rechargeable batteries, a builtin speaker and a powerful Word Search Function. Your BibleCourier will contain one complete Bible and a whole Bible commentary and Bible dictionary or two different complete Bible versions in one BibleCourier unit along with a KJV concordance, a Glossary of terms and other study aids, all at an affordable subsidized cost. The Maine Department of Education’s Maine CITE Program is designed to help make assistive technology more available to Maine children, adults and seniors who need them. Welcome to the Maine Department of Labor. We want to help you succeed, and we want Maine's economy to grow. The Department of Labor's team is committed to providing quality service and helping our workforce gain the right skills to meet the needs of current and future employers. The goal of the Mayo Clinic low vision specialty group is to help you make the most of the vision you have. Low vision means having impaired vision that cannot be corrected by glasses, surgery or medication. The most common cause of low vision is macular degeneration, an age-related disease that affects the central portion of your visual field. Other common causes include glaucoma, cataracts and diabetes. The Montana Academy of Ophthalmology (MAO) is the organizational and representative body of the medical eye physicians/surgeons in the State of Montana. Ophthalmologists (Eye MDs) are medical doctors with additional specialized training in all aspects of eye care: medical, surgical, and optical. As medical doctors, Eye MDs and their practices are also available 24 hours a day, 7 days a week for urgent or emergent care. Join our team of almost 3,000 employees working all across Montana! DPHHS is proud to be an Equal Opportunity Employer committed to a diverse work force. The Senior and Long Term Care division manages a wide variety of programs and services guided by our mission. Doctors of optometry (ODs) are the primary health care professionals for the eye. Optometrists examine, diagnose, treat and manage diseases, injuries, and disorders of the visual system, the eye, and associated structures as well as identify related systemic conditions affecting the eye. The Montana School for the Deaf & the Blind (MSDB) provides comprehensive educational opportunities for Montana’s students who are deaf, hard of hearing, blind, visually impaired, and deafblind, giving them their best chance for independence and success. M.I.C.E. (Multi-sensory Intervention through Consultation and Education) is a statewide program providing educational and developmental services to sensory impaired infants, ages birth to three years. The purpose of this program is to identify infants at risk for, or diagnosed with, a vision or hearing loss and to provide early intervention services. Blindness and deafness do not occur as frequently as other disabilities. Therefore, M.I.C.E. Program services are specifically designed to assist families and community agency personnel in learning how to care for and work with the unique abilities and needs of each child with vision and hearing loss. Through research, Stovall and Harper learned that there are 13 million people in the United States who have visual impairments severe enough to limit their enjoyment of movies and television programming. They began to develop a plan to make programs accessible to visually impaired people by adding the voice of a narrator describing the visual elements of the story. Even though they knew nothing about the technology it would require to accomplish such a task, they began working with borrowed equipment to produce the first few narrative soundtracks. Stovall and Harper then planned to add the narrative soundtracks to the existing movie audio. Experts in the television industry told them their plan would never work, but unfailing in their tenacity, they eventually found someone who would help them try, and the videos came together just as they had expected. Less than one year later, the National Academy of Television Arts and Sciences awarded NTN with an Emmy for technology that has expanded the use of television. Welcome to the Nebraska Medical Association, the preeminent, unifying physician organization in the state of Nebraska. The NMA, founded in 1868, is an advocacy organization comprised of 3,000 physicians (MDs and DOs), residents and medical students from across all areas of Nebraska. This Division is responsible for preventive and community health programs and services. It is also responsible for the regulation and licensure of health-related professions and occupations, as well as the regulation and licensure of health care facilities and services. (6) Receive on-site support at home, in schools and on the job. Founded in 1875, the Nebraska Center for the Education of Children who are Blind or Visually Impaired (NCECBVI) serves children from infancy to age 21. NCECBVI's program offers the expertise and specialized skills of the center's staff to blind, visually impaired, and multi-handicapped students in residential, day, and outreach settings. Services are provided to local school districts, students, families, teachers, and other support staff upon request. The Bureau helps individuals with vision disabilities make decisions about their future employment through evaluation and testing tailored to the participant's needs. The program also offers counseling and training to help individuals learn to maneuver safely with confidence. Our goal is to help people with vision loss continue to live safely and independently – at home, at work and in their community. The New Hampshire Association for the Blind offers a number of vision rehabilitation services that are individually tailored to your needs. Among these are vision rehabilitation therapy, orientation and mobility training, low vision services, education services for school aged children and counseling. Volunteers are also available for transportation and home visits. The Bureau of Elderly and Adult Services (BEAS) provides a variety of social and long-term supports to adults age 60 and older and to adults between the ages of 18 and 60 who have a chronic illness or disability. The NHDOE is committed to helping students, parents, and educators (including teachers, principals, superintendents, and school communities) meet the educational needs of each student. This site provides a wealth of data and information about the NHDOE's programs, services, and initiatives at the fingertips of every citizen. The New Mexico Aging and Long-Term Services Department (ALTSD) provides accessible, integrated services to older adults, adults with disabilities, and caregivers to assist them in maintaining their independence, dignity, autonomy, health, safety, and economic well-being, thereby empowering them to live on their own terms in their own communities as productively as possible. Our mission is to enable persons who are blind to achieve vocational, economic and social equality by providing career preparation, training in the skills of blindness and above all, promoting and conveying the belief that blindness is not a barrier to successful employment, or to living an independent and meaningful life. The New Mexico Department of Health (NMDOH) is one of the executive branch agencies of the State of New Mexico. Our mission is to promote health and wellness, improve health outcomes, and assure safety net services for all people in New Mexico. New Mexico School for the Blind and Visually Impaired (formerly NMSVH) has for many years operated an Instructional Resource Center (IRC) on the school's main campus to help provide educational materials for students with visual impairments statewide. In addition, it also now houses the New Mexico Repository, consisting of textbooks in Braille and large print contributed by schools from throughout New Mexico. The Department of Human Services administers programs and services that help older adults and people with physical disabilities to live safely and productively in the least restrictive, appropriate setting. Developmental Disabilities provides support and training to individuals and families in order to maximize community and family inclusion, independence, and self-sufficiency; to prevent institutionalization; and to enable institutionalized individuals to return to the community. To achieve this goal, Developmental Disabilities contracts with private, nonprofit and for-profit organizations to provide an array of residential services, day services, and family support services. Education continues to be a priority as we move forward into the twenty-first century and help prepare North Dakota students to be career and college ready. Innovative programs such as, the National Math and Science Initiative, the Math and Science Partnership, Leveraging the Senior Year, Advanced Placement courses, STEAM (Science, Technology, Engineering, Arts and Mathematics), After School Programs, and Early Childhood Education are examples of the scholastic avenues we are providing for our students. The Doctor of Optometry (O.D.) degree is based on the NSU Tahlequah campus. The program is four years of intensive doctoral-level training that prepares students to become effective members of a comprehensive health care team. The Optometric Physician has been trained to diagnose and treat a wide-variety of eye and vision problems at the primary care level. In addition, the optometrist learns to identify and assist in managing a wide-variety of non-ocular systemic and psychological conditions. By working effectively with members of many other health care disciplines, Optometric Physicians play a significant role in providing for the comprehensive needs of the patients they serve. Radio Eye is a radio reading service for those who are unable to access the printed word. We broadcast the reading of current newspapers, magazines, health materials, grocery ads, and much more, offering greater independent living to people who are blind, visually impaired, or physically handicapped. Listeners can access our 24/7 broadcast on special pre-tuned Radio Eye radios, on the iBlink Radio app, on the NFB-Newsline telephone service, on our own toll-free telephone system. 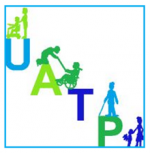 The Utah Assistive Technology Program (UATP) gets assistive technology into the hands of people who need it. Our goal is to help people use technology to be more independent in education, employment, and community settings. This program provides early identification and developmental services for infants and toddlers, ages birth to three with a developmental delay or disability, and their families. The mission of the Utah Optometric Association is to promote the highest professional standards in vision care, so that its delivery will be will be the finest available to patients and citizens of Utah. USDB educators serve over 2100 students annually. Learn more about USDB programs and events by visiting one of our campus locations or ourFacebook page. The Utah State Board of Education (USBE) Special Education Services (SES) section provides leadership and support for educators, parents, and students with disabilities receiving special education and related services throughout Utah public schools and communities, in an effort to improve educational outcomes. Help Us Grow This Directory! Do you know of an organization or group that's not listed here but should be? Submit a new resource and help us grow this list!